Is WhatsApp’s ‘No Ads’ Policy Already Starting to Loosen? WhatsApp is exploring a way to let brands message its 450 million-plus user base after all, according to a report today. The largest text messaging platform, which Facebook is buying for $19 billion, has historically been a market-free zone. 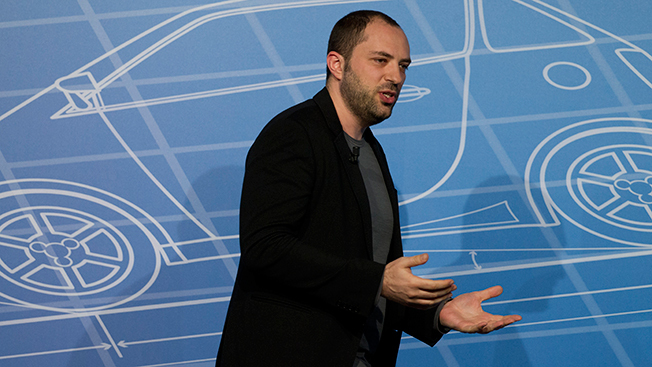 Co-founder Jan Koum, since starting the app in 2009, has spoken against any invasion of advertising. WhatsApp’s motto is: No ads, no games, no gimmicks. Since Facebook announced a deal last month to buy WhatsApp, industry watchers have wondered how Mark Zuckerberg would see a return on his investment if the messaging app stuck to its no-advertising policy. Koum and Zuckerberg said that WhatsApp would continue to operate independently and remain true to the service that users have embraced. Today, a report from Forbes on the details of the acquisition suggested that WhatsApp has already explored marketing. An insider told Forbes that some brands could be allowed to message users with their permission. WhatsApp is considering charging brands like airlines and Uber, the tech car service, to message users, Forbes reported. It’s the first indication that the app could loosen its no-advertising policies, and it wouldn’t be the first time that a young tech company that rebelled against marketing grew into a tech company reliant on advertising. The mobile messaging space is full of rivals to WhatsApp like Kik, Line, WeChat and Tango. All are coming up with creative paths to monetization. Tango has introduced native ads, and Line makes 20 percent of its revenue selling virtual stickers. TextPride, which sells branded stickers on messaging platforms, recently announced a deal with Kik, Viber, GroupMe and Cubie. WhatsApp for now makes money from selling $1 yearly subscriptions to its no-frills messaging service. The first year is free, however, and there have been reports that the company only made $20 million in revenue last year. WhatsApp co-founders Koum and Brian Acton were late entrants into the 2014 Forbes billionaires list with $6.8 billion and $3 billion respectively following the sale of their company.